The Marhaba ladies were my first introduction to life in Dubai. The administrators from my school had given us very detailed instructions for arrival, so when I got off the plane, I knew to look for the Marhaba ladies; although I did not really know what they were. They would be wearing bright yellow-ish jackets and I would find them somewhere after the escalator. I knew they would have a board with my name on it, and that they would assist me in the customs control process. As I walked through the airport, I immediately noticed how refreshingly serene the airport was. It had an air of cool, calm and collected. No one was rushing. There were no loud disruptive announcements. It was surprisingly empty. I felt at peace. What a lovely way to enter my new living space. After approximately five minutes of walking, I met my first Marhaba lady. She was petite and she quietly handed me a pamphlet, confirmed that I was expecting a Marhaba lady, and pointed me in the direction of the the others, one of whom would be waiting for me. It was all very mysterious. I arrived at the top of the escalator and saw two petite women in the Marhaba uniform. I had not expected this. I was imagining a large, burly woman with thick sunglasses and a yellow poncho, who could lift many suitcases and move people out of her way quickly. Not so. My Marhaba lady took me to a place where I could leave my carry-ons and assured me they would be safe. I left them and went downstairs with her. She did not explain where we were going. We approached a counter, and handed the man behind it my papers. He stated there was no need. The Marhaba lady explained that there it was unnecessary for me to have my iris scanned electronically, but that she brings everyone to that station because now, in Dubai upon arrival, the rules are constantly changing. (I later discovered many of my coworkers did have to complete this, although we had the same type of employment visa). We went to customs control, and the Marhaba lady took us to our very own special line, in which we were first. I approached the counter and kept my head down. On the plane Paul told me not to look any of the men here in the eye. I did not know if he was joking or not. I figured he meant if I did so they would be more inclined to pursue, but I was overly cautious. The man behind the counter looked me dead in the eye and said "Hello, how are you?" I looked up and smiled. This is my new home, and I am being welcomed to my new life at every step. There was no reason to avoid eye contact or over analyze my presence here. I kept smiling and the man behind the counter handed me my passport and my temporary Visa. My Marhaba lady adeptly acquired a porter. We went to baggage claim and were there for no longer than five minutes. The bright green on my luggage was easy to identify, so we moved on to the baggage screening. The Marhaba lady and I waited as my bags went through the machine. The woman screening them apparently found no reason to examine them. Moving on. The Marhaba lady and I went on to meet the Superintendent of my school who was picking me from the airport and would take me to my apartment. 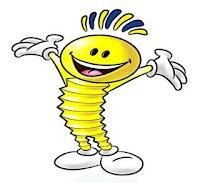 I kept seeing this mascot, who is yellow and has a big smile. The woman explained that he is the mascot for a festival that is occurring, something about a smile campaign. Apparently it is Dubai Summer Surprises, and I have no idea what it's purpose is yet, but I think people win things at the mall, and that it is partially sponsored by a credit card. This is no surprise because shopping is a favourite activity here, for both nationals and visitors. I could not believe we were done. I expected to be at the airport for hours, but in reality, it was less than one. Once we all arrived, it was hard to forget about the Marhaba ladies. We asked, but that was the only time the school will provide us with that service. Apparently there is a card that will make the airport process just as simple, but probably not as delightful. We met Harold, and he asked the young lady where she was from. "Romania," she replied graciously. Before Harold and I left, she turned to me and handed me my paperwork. "Welcome to your new life," she said smiling. I beamed.